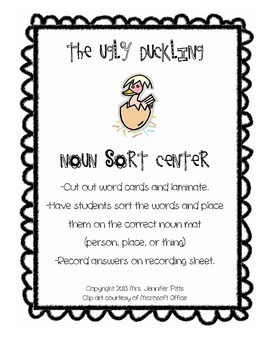 Use as a center or whole class activity. 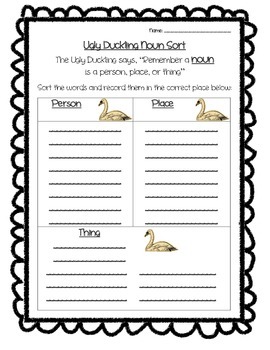 Students sort the words on the ducklings onto the noun category mats of person, place, thing/animal. 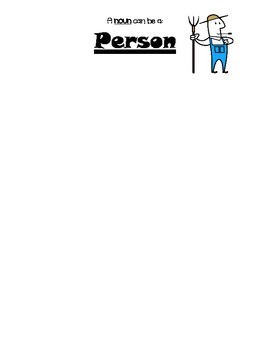 They can then record their answers on the recording sheet.